Moving is an important step that is being prepared and organized in advance. Whether it is to go to another city, another region or simply to change the street, good upstream management is necessary so that everything happens at best on D-Day. That’s it, the decision is made, you will move. Once the new housing is found, it will be necessary to fix a date. Tip: If you use a movers’ service, prefer a day during the week: prices are often cheaper than the weekend. If your company gives you a day off, try to ask for a day on the weekend. You will have the weekend to install and acclimatize peacefully. If you have children, wait for the next school holidays to move. For us this change may seem trivial, but the younger ones often experience it as an upheaval. So it is better to stay away from cartoons, guarded by their grandparents or friends, the discovery of their new living space will be less brutal. Changing accommodation is the perfect opportunity to do a great sorting in your personal belongings. Indeed, in addition to making room in your new space, get rid of the superfluous is good! To know if you need to keep this jean, this board game, this glass vase, this headset, simply ask yourself the question “Has I used it for a year?” If the answer is no, no reason to keep this object, you can then sell it, give it away, throw it if it is no longer usable, or even give it a second life. 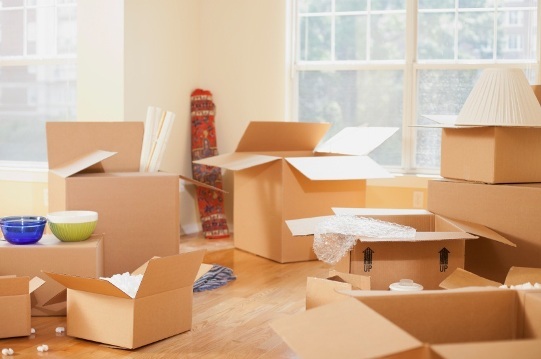 If you want to keep some furniture that you keep but do not fit into your new home, call a storage company which provides accessible boxes whenever you want. A real space saving! You can also use it to categorize administrative papers or other important documents. Make folders by topic (rent receipts, invoices, taxes, banks, salary sheets, guarantees, schools and studies of children, etc. ), you will find more easily what you are looking for. If you opt for the option “I make my cartons myself”, you have to go ahead. Each time you fill a box, before you close it; make a note of its content (books, dishes, clothes, toys …) and the destination room, easier to find when you arrive in your new home! Not to look everywhere on the first night for your duvet, pillow and toothbrush, prepare special boxes with bed linen and toiletries for the whole family. Label them correctly, and make sure that these are not under a stack of cartons. In the kitchen, remember to make the most of what is left in the cupboards, as well as what is in the freezer and refrigerator that will not be retained during the move. It will avoid the mess and lighten your boxes. With respect to the laundry, be sure to be up-to-date in the washing and ironing of clothing for the whole family, your washing machine may not be operational as soon as you arrive!